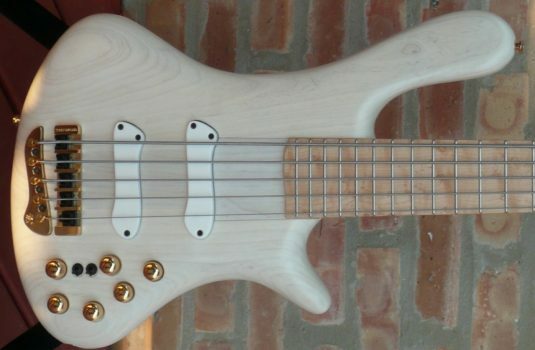 New from the workshop in Barcelona , we are proud to offer this semi- acoustic Sequel model. 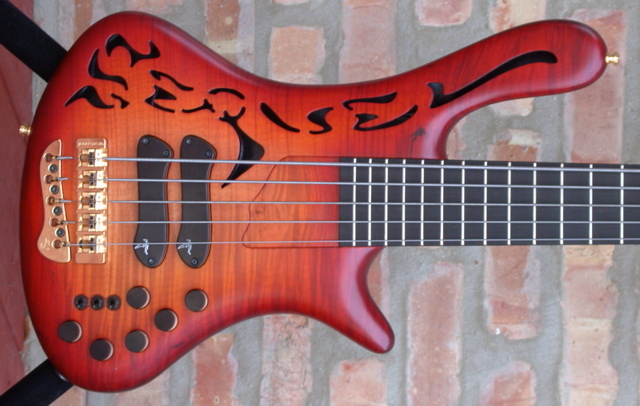 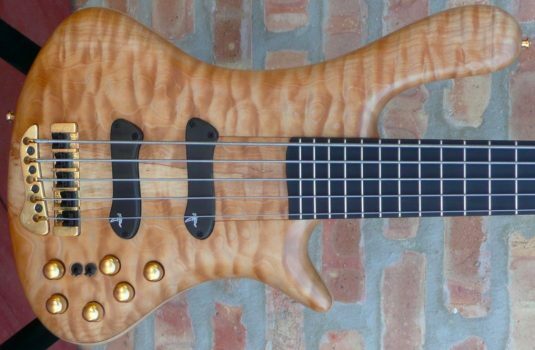 A unique design in Jerzy’s lineup, this bass delivers a quick and decisive attack, yet retains “air” around the notes. 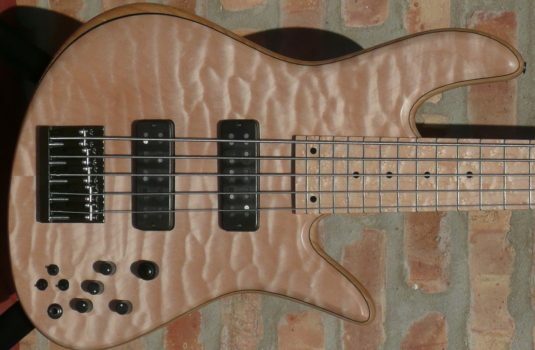 Slappers love this bass for this reason. 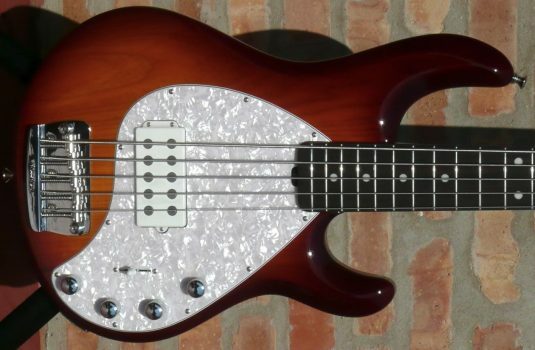 I play fingerstyle and I love this bass as well – the voice of this bass is quite distinctive. 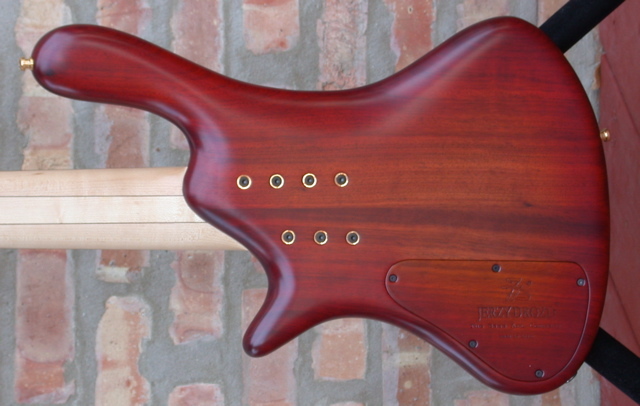 The body wood is Etimoe, with a tinted Flame Maple top / headstock veneer. 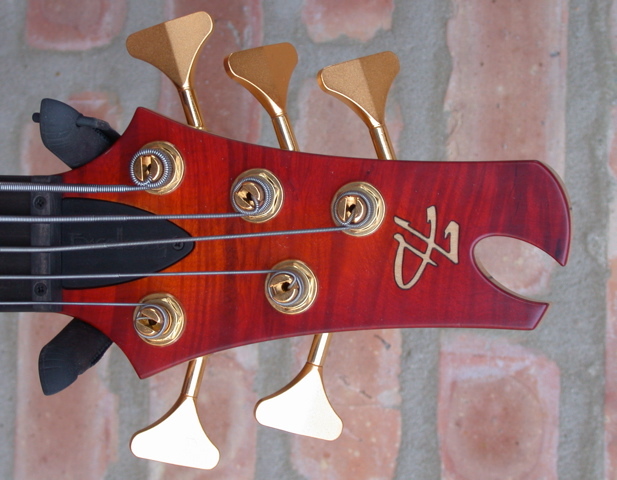 As you can plainly see, the two proprietary split coil humbucking pickups are biased towards the bridge. 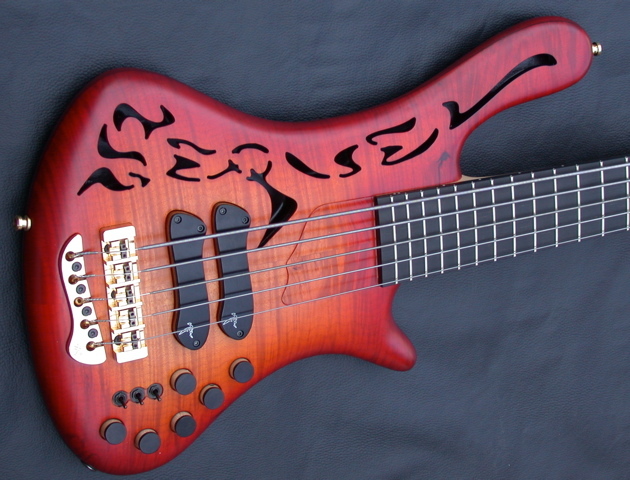 This is done for 2 reasons – to create the bass’ voice and to accommodate the VERY deep set bolt-on neck. This deep set neck creates a bond between body and neck that increase sustain and bass response AND retains the snap of a more typical bolt- on design. 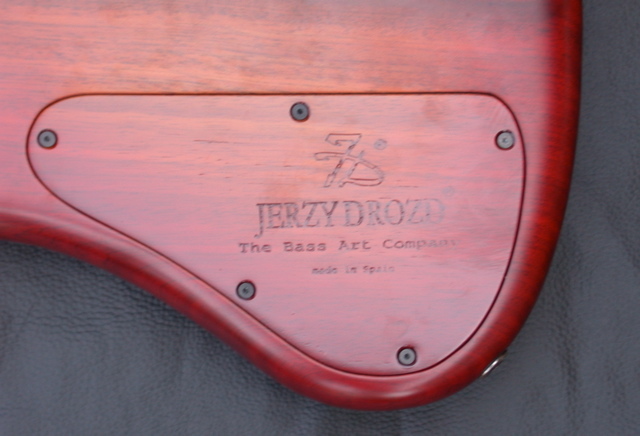 BTW, the neck is 35″ , 5 pieces with Jerzy’s trademark THICK Ebony fretboard.